The Third Edition presents all pharmaceutical industry personnel and those in academia with critical updates on the recent advances in granulation technology and changes in FDA regulatory guidelines. Addressing precisely how these recent innovations and revisions affect unit operation of particle generation and granulation, this text assists the reader in selecting the ideal technology for his/her company’s particular drug delivery system. This knowledge helps ensure that regulatory guidelines are followed and met in a cost-effective manner. 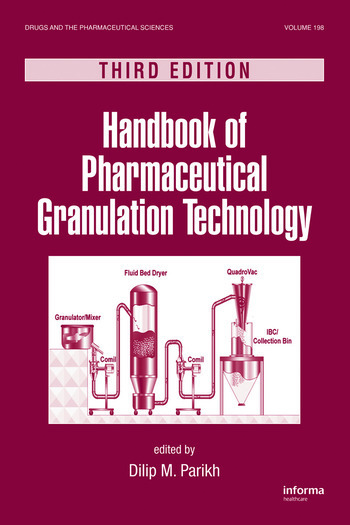 In addition, all chapters in the Handbook of Pharmaceutical Granulation Technology explore the fundamentals of powder characterization, granulation, and state-of-the-art technologies, modeling, application of expert systems, and manufacturing optimization. 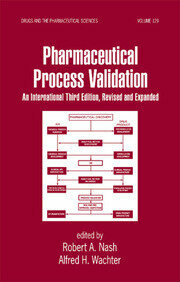 "… very useful for pharmaceutical professionals."